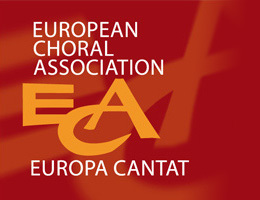 We invite all choirs for 9th edition of our festival in Krakow (Poland 7-10.06.2018). You may take part with your choir in festival concerts and gala or if you wish you may also compete in one of the 9 categories in front of the international Jury : Romuald Twardowski, Vytatutas Miskinis, Javier Busto, Rihards Dubra, Bernhard Gfrerer. As almost 250 choirs from past editions we wish you to have wonderful performances and meet other choirs from around the world. See you in Krakow. I am Martin Gölles, a composer and a conductor from Hungary. I started a virtual choir project (Martin's Virtual Choir) a few weeks ago. I would like to bring singers together from all around the world. If You are interested, please check my blog and like/follow my Facebook and Twitter page for more informations. I would be very thankful, if You could share this project for people, who like singing and may interested in this virtual choir.